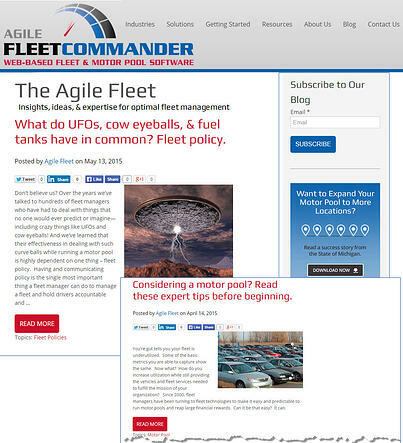 Thank you for your interest in being a guest blogger for our Blog, "The Agile Fleet." We are now accepting appliations for guest bloggers. We value your expertise and welcome your contribution. Blog posts should take an hour or less to write, and we think it's a great way to share your knowledge and experience with the fleet and motor pool community. Please complete the form below and we will contact you once your submission has been reviewed. If you should have any questions, feel free to contact us at marketing@agilefleet.com. Thanks in advance for your participation.